Are spiritual quests a thing of the past? Not a bit of it. Here are memorialized certain high-points of a journey recently made by a friend of mine — I will call him ‘Mark’ — to the land of Brigham Young. His very first night in Salt Lake City suggested that strange new avenues would be opening up for him. Would he like what he discovered on them? But the next day dawned hopefully as ‘Mark’ found himself in Temple Square, the seat of Mormondom on this planet. 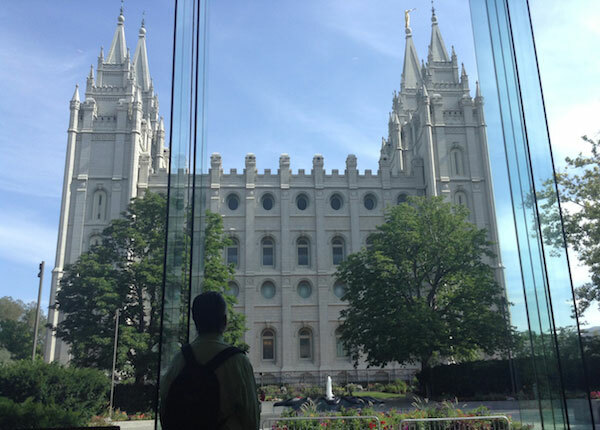 Mark tries to take in the imposing sight of the Salt Lake City Temple. 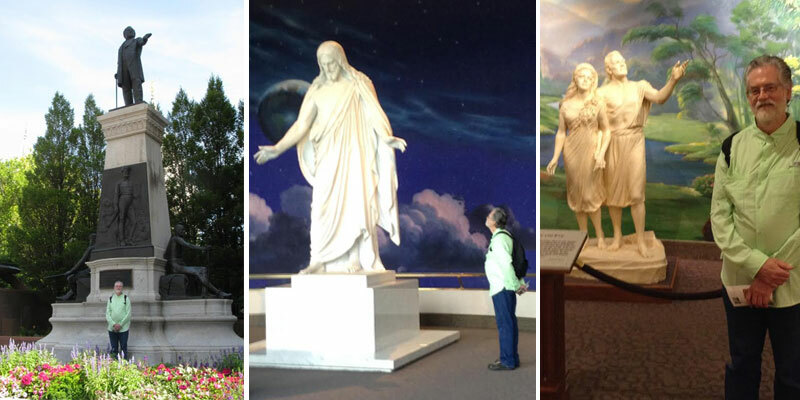 Mark sizes himself up against notable personalities of Mormondom: Joseph Smith looking down on SLC; the Christus in the Cosmos; and Adam and Eve in Paradise. 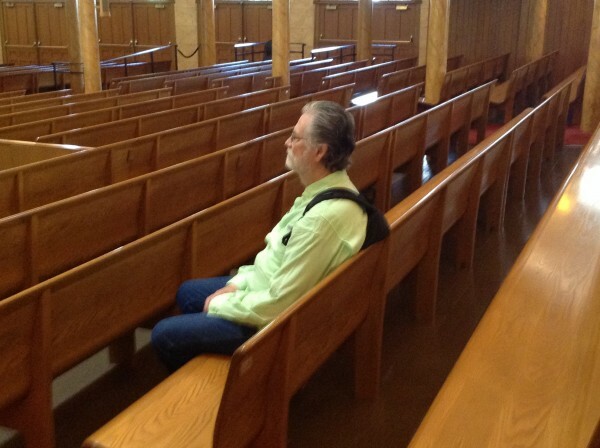 Enriched but exhausted by all he encountered, ‘Mark’ had to pause a while in the Mormon Tabernacle to reflect and consider before continuing his journeys. 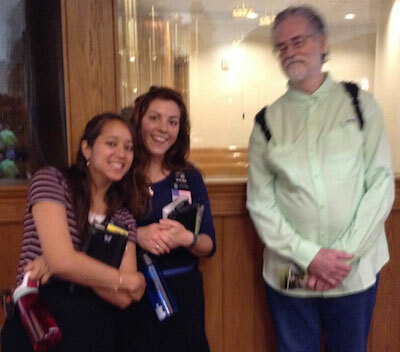 Fortunately, two helpful Mormon sisters were available to help him try to put things into perspective. But the day’s discoveries were not yet over. 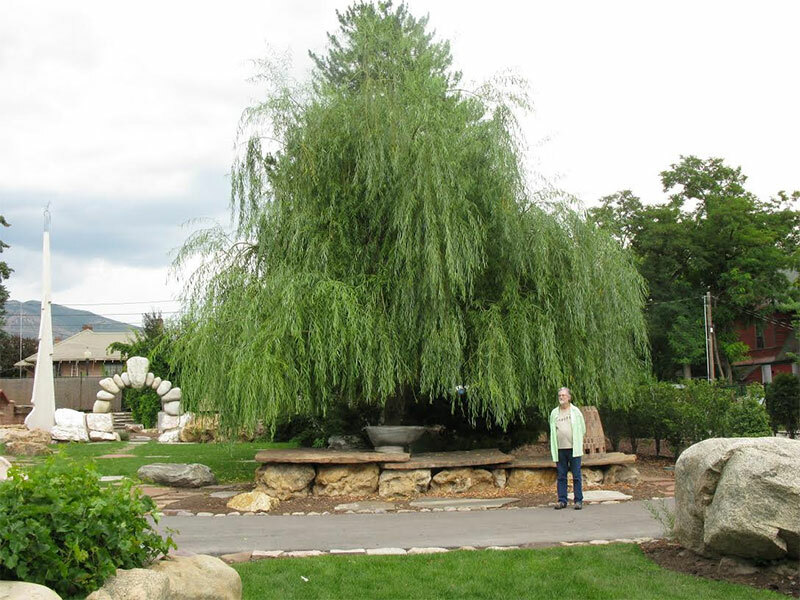 In the afternoon, ‘Mark’ visited the remarkable Gilgal Garden in Salt Lake City, the sculptures of which embody or evoke many a mystery. ‘Mark’ had learned about this strange place from the novel Inherited Murder by Mormon convert and mystery-writer Lee Martin-Anne Wingate, which opens (with a bloody murder) in this very spot. 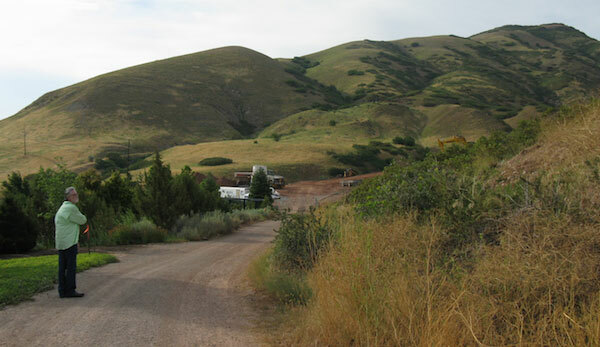 The entrance to Gilgal Garden, and Mark next to a very strange Joseph-Smith-faced sphinx that is found there. Mark by an engraving of a passage from Job 19, and communing with a statue of Thomas Child, creator of Gilgal Garden. Mark standing in front of the sculpture known as the Altar. Fictional detective Deb Ralston’s son Hal found a dead body here. Yet the day was still not over. 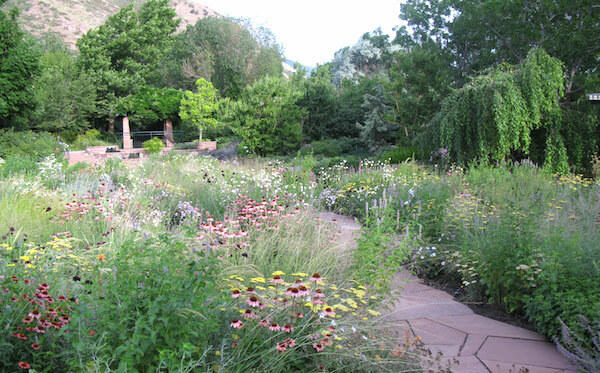 In the evening, ‘Mark’ made it to Red Butte Garden, at the edge of Utah State University. 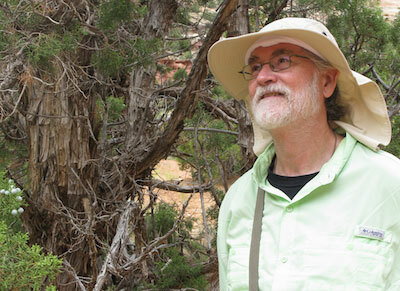 From the monumental spirituality of Temple Square and the Gilgal sculptures, he had passed to simpler spirituality of pure nature (…organized into gardens…). Mark gazing up at the hills from Red Butte Garden. Though you do not see him here, Mark was greatly refreshed by the Garden of Heavenly Scents. 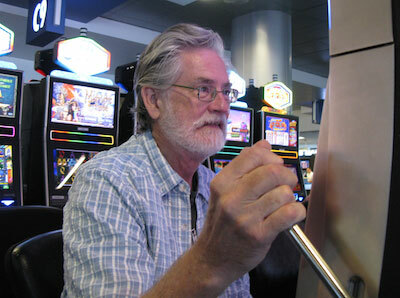 For the second post in this series, see Mark in the Bee-Hive State Part 2: Approaching the Land of Stone and Sand. This dovetails nicely with parts of the Whitman biography I’ve been reading! Mark has been tapping into NATURE…and no doubt drawing STRENGTH from it. But clearly he also tapped into the VIBE of the area, the very spirit of this great religion. Unfortunately, in Utah, that “feeling” has been getting some static from the area where Mitt was having his retreat. Would that I too could take such a journey.